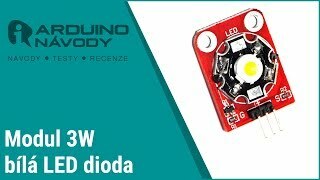 High power white LED diode with power of 3W. The LED is mounted on the basic module with NPN transistor S8050. When connecting the module directly to the development kitům (+5 VDC on the Arduino, Raspberry, etc.) an eye on the current drawn (approximately 0.4 And).